Preheat oven to 200 C / 392 F. Lightly grease a 12-cup muffin tin, or line with paper muffin cups. In a separate bowl, cream together sugar and butter. Stir the flour mixture into the sugar mixture alternately with the milk. Fold in the fruit. Pour batter into prepared muffin tin. 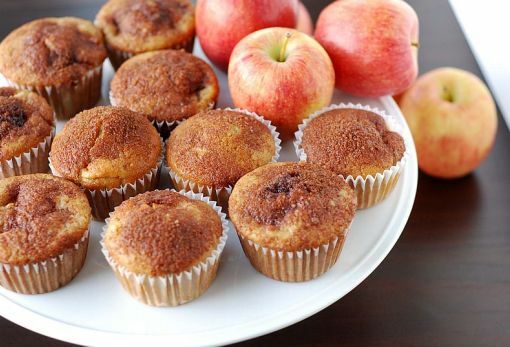 Bake in preheated oven for 20 to 25 minutes, until a toothpick inserted into the centre of a muffin comes out clean.